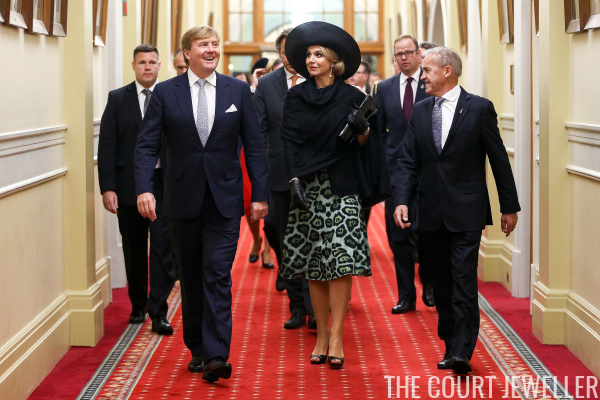 The Dutch royal couple wrapped up their visit to Australia last week, and now they're embarking on a three-day state visit to a neighboring country, New Zealand. 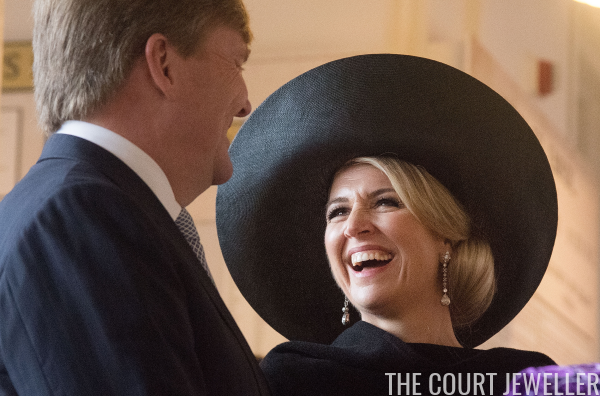 Here's a look at Queen Maxima's jewelry from the welcoming ceremonies. 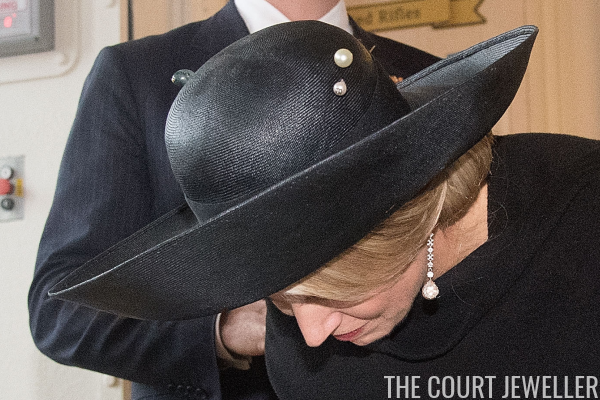 Maxima chose the long diamond pendant earrings from Queen Juliana's collection for the first day of this visit. 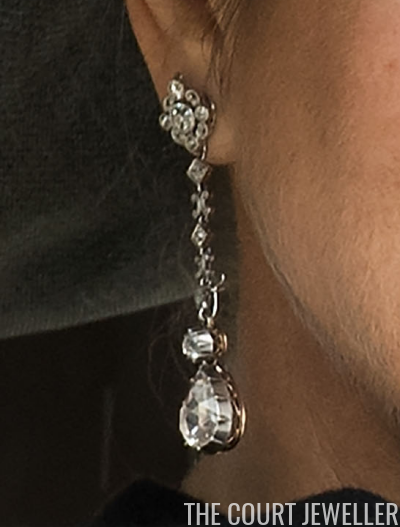 Here's a closer, more detailed look at one of the earrings. 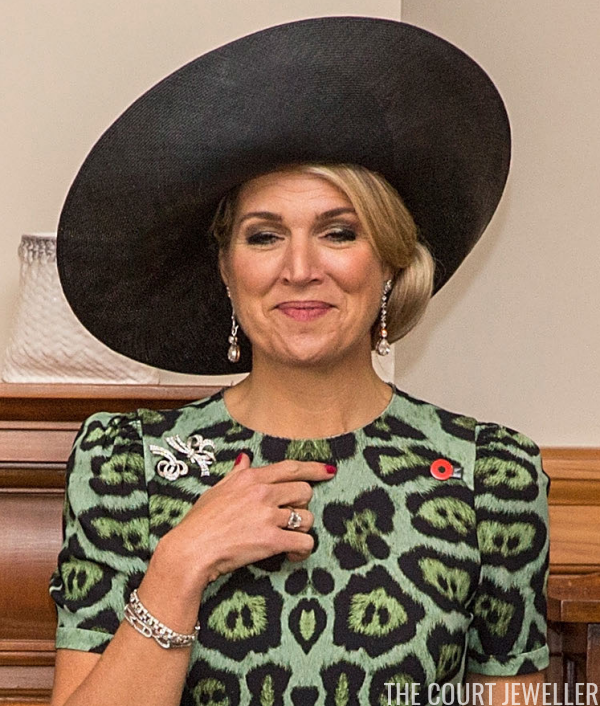 Maxima also wore other diamond pieces: her wedding bracelet, her family initial bracelet, the large ring given to her by King Willem-Alexander, and a pair of diamond ribbon brooches. And one more bejeweled surprise: hat pins!